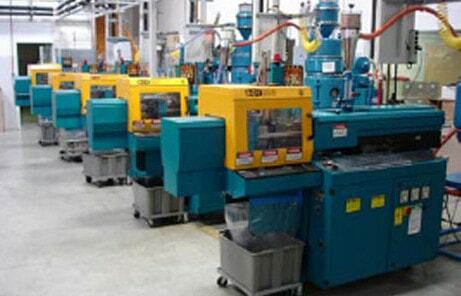 Budwig Company Inc. has been designing and manufacturing proprietary injection molded thermoplastic products since 1965. We are not a distributor and only sell what we manufacture at our San Diego, California facility. 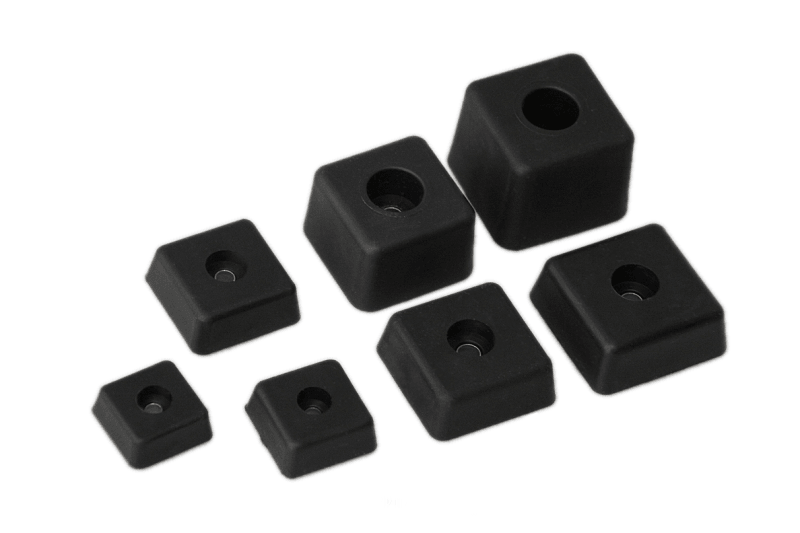 Our product line includes: Rubber feet, collapsible tilt stands, cable straps, antenna connectors and insulators used by ham radio operators to build di-pole antennas. 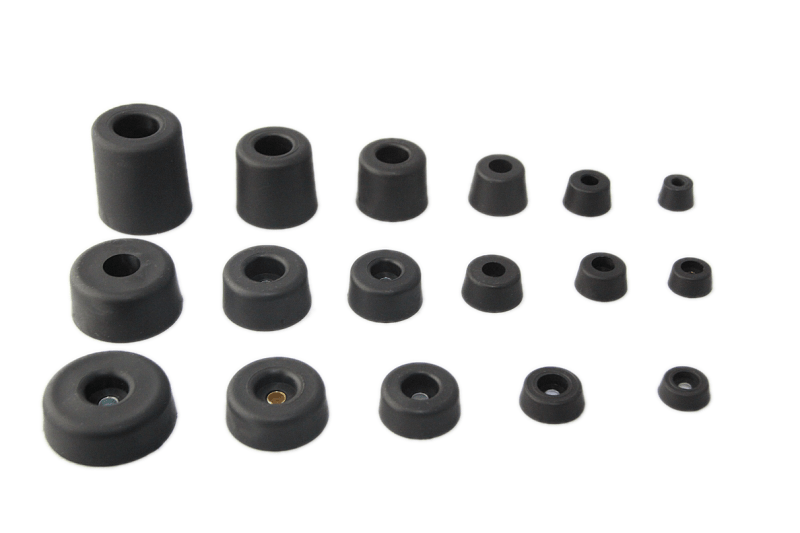 When it comes to Plastic Feet and Rubber Bumpers, no other company offers higher quality bumpers at affordable prices as offered by Budwig and is a premier manufacturer of Rubber Bumpers also known as Bumper Feet. Although most of our products were developed for the electronics industry they are used extensively in various other applications and industries. 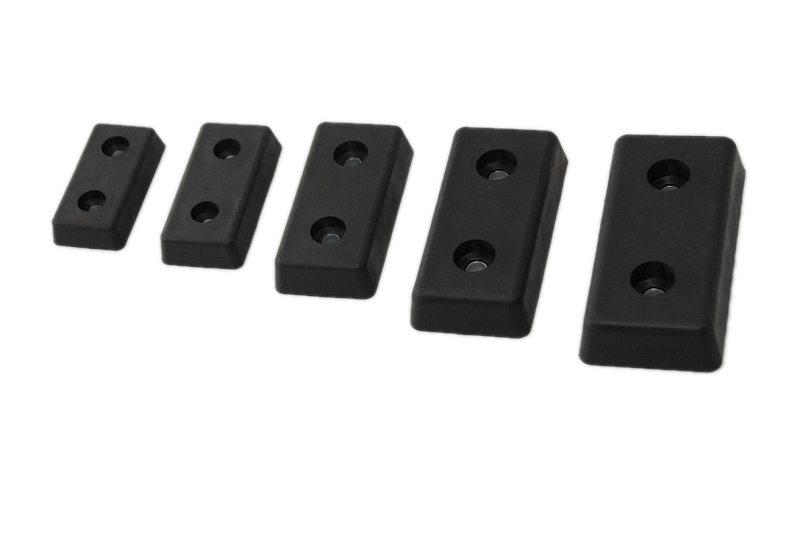 Budwig bumpers (feet) are manufactured by using ‘Santoprene’ thermoplastic rubber. 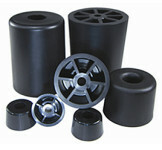 Thermoplastic Rubber Feet - Standard Injection Molded Plastic Feet and Bumpers offered by Budwig. 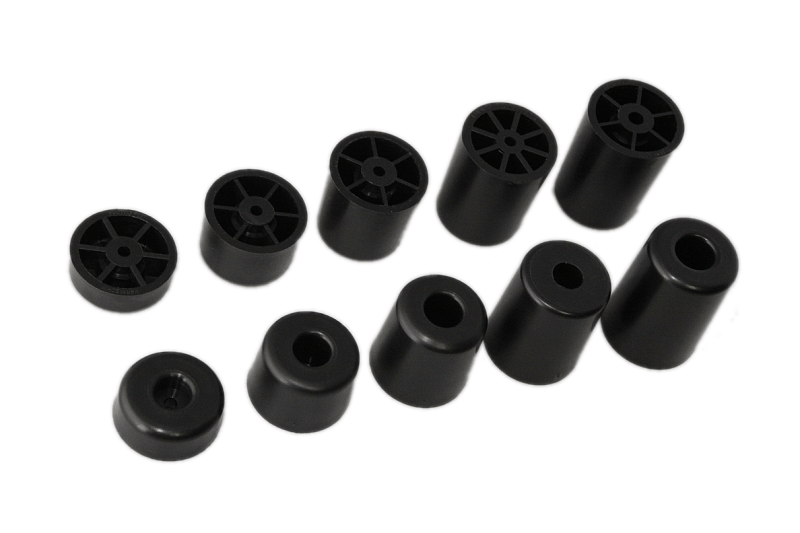 Rubber Feet, we injection mold them in over thirty sizes. We mold other materials but thermoplastic rubber feet has become our first choice. We stock them in black and medium grey and offer optional colors and hardness. 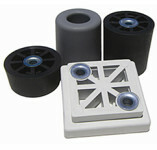 View all Rubber Feet molded products, Round, Square, Rectangular - in any color available from Budwig. If you don't find what you need from our existing product line, we can use your design or we will custom design one for you. Along with our other products we keep over two million pieces of inventory to provide off-the-shelf delivery. We will be happy to send you free samples to test or compare. We believe you will find our products to be an excellent balance of quality, performance and price. We are an Original Equipment Manufacturer (O.E.M.). We only sell what we manufacture at our facility in San Diego, California. our San Diego, California facility. 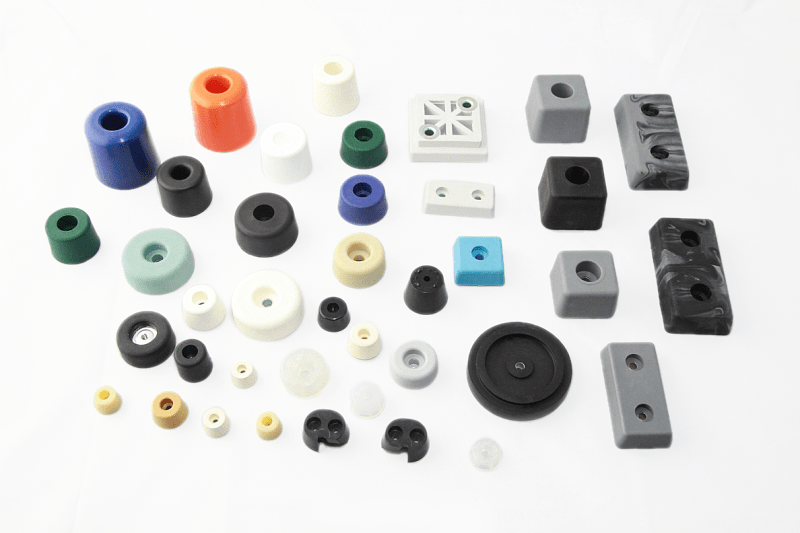 Budwig specializes in TPR (thermoplastic rubber) rubber bumpers, which are used in a variety of applications in the electronics, security, medical, and consumer products and more. 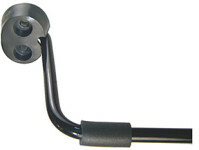 Budwig rubber bumpers are available in various shapes & sizes. 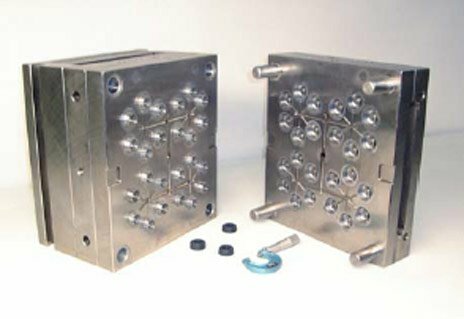 Being a plastic product development and marketing facility we have the capacity to perform almost all requirements in-house: Product design, mold making, injection molding, assembly, testing and packaging. Give us a call for your project needs.